Mariam Gates has worked with hundreds of children over the past 20 years, and in her popular Kid Power Yoga™ classes, the guided relaxation is always a favorite part. 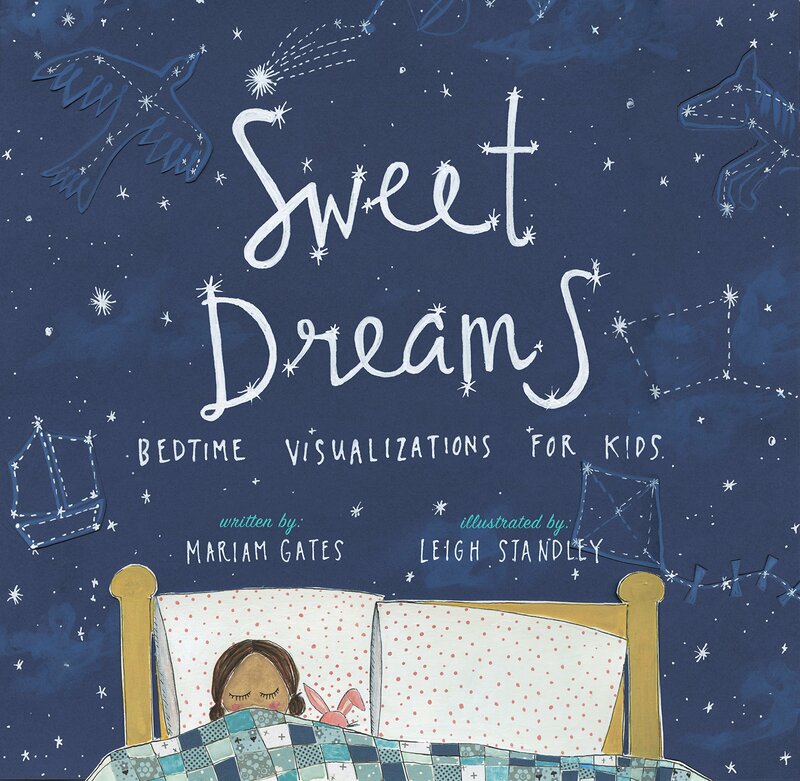 With Sweet Dreams, Gates teams up with illustrator Leigh Standley to present eight mini-adventures designed to send even the most restless sleeper off to a good night. Travel deep into the rainforest, dive down for an underwater adventure, or rocket to the moon! Each visualization uses mind and body relaxation techniques, taking your child on a fun and engaging invitation to dreamland. As you move through the imagery, breathing techniques, and simple motions, your child will quiet her mind, relax, and let go of the day’s worries. Part “choose your own adventure” and part calming ritual, these gorgeously illustrated guided journeys teach children to self-soothe and prepare for a good night’s rest.